Have you heard of the new Personal Savings Allowance (PSA)? From April 2016 the new Personal Savings Allowance (PSA) will start. The PSA will apply to all non-ISA cash savings and current accounts, and will allow some savers to receive a generous portion of their interest totally free of tax. 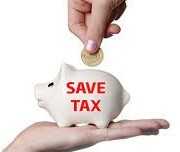 It’s expected that 95% of savings will no longer be taxed. Basic rate taxpayers will receive £1,000 in savings income tax free, higher rate taxpayers get a band of £500 and additional rate tax payers get nothing. From April 2016 banks and building societies will stop automatically taking 20% in income tax from the interest earned on your non-ISA savings. https://www.liricaccountants.com/wp-content/uploads/2015/02/taxsaving.jpg 152 331 Lisa Compton https://www.liricaccountants.com/wp-content/uploads/2014/12/liric-accountants.jpg Lisa Compton2015-12-31 19:22:202015-12-31 19:22:20Have you heard of the new Personal Savings Allowance (PSA)? A limited company is an organisation that you can set up to run your business – it’s responsible in its own right for everything it does and its finances are separate to your personal finances. Any profit it makes is owned by the company, after it pays Corporation Tax. The company can then share its profits. As a sole trader, you run your own business as an individual. You can keep all your business’s profits after you’ve paid tax on them. You can employ staff. ‘Sole trader’ means you’re responsible for the business, not that you have to work alone. You’re personally responsible for any losses your business makes. How do you form a Limited Company? You can form your company directly with Companies House for £15, it normally takes 24 hours. We can form it for you, ensuring the optimum share structure is in place and we than also deal with any VAT or payroll registrations required with HMRC. Starting a new business, whether sole trader or Limited, needs careful consideration, a business plan and some start up capital to name but a few things. We do recommend you come and talk to us right at the beginning so things are set up in the best way that works for you. 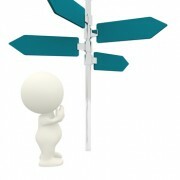 What may be the optimum route for one person is not necessarily the same for another – we offer bespoke advice. https://www.liricaccountants.com/wp-content/uploads/2014/12/personal-tax.jpg 467 350 Lisa Compton https://www.liricaccountants.com/wp-content/uploads/2014/12/liric-accountants.jpg Lisa Compton2015-12-31 18:56:112015-12-31 18:56:11Limited company or sole trader? Following the restriction of tax relief for mortgage interest and the 3% increase in Stamp Duty Land Tax all is not doom and gloom for buy to let landlords. Following on from the consultation this summer the draft Finance Bill 2016 includes the legislation to reintroduce tax relief for the replacement of furnishings in buy to let properties from 6 April 2016. This will apply to both furnished and unfurnished lettings and will mean that the cost of replacing items such as cookers and washing machines will again qualify for relief following the withdrawal of a concession from 6 April 2013. Note that the alternative, and simpler, 10% wear and tear allowance will be withdrawn from 6 April 2016 for those letting properties fully furnished. Those letting properties under the more stringent furnished holiday letting rules will continue to be able to claim the Annual Investment Allowance which provides 100% tax relief for the initial furnishing as well as renewal of furniture in holiday properties. It’s that time of year again, Christmas. 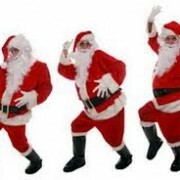 Which means the Works Christmas Do. So we thought it would be useful to give you as employers some top tips for the occasion. But what if you didn’t do this? Ok so there are some risks and this is a serious issue, but is a huge policy going to help you? Maybe but also maybe not. Sadly employees do stupid things, whether it’s at Christmas or not. Whether they’ve read a policy or not, after 10 pints of lag​er and half a bottle of free wine they aren’t going to remember it and will likely do as they drunkenly want. It will need to be dealt with, but in reality you cannot legislate for every situation. 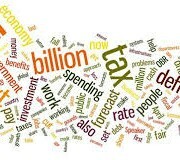 How will the 2015 Autumn Statement affect you and your business? Download our guide to the 2015 Autumn Statement Autumn-budget-statement-2015.pdf. Our summary offers an overview of the key business, tax and financial measures announced in the Autumn Statement which could affect you and your business. Major announcements include the reversal of cuts to tax credits, the introduction of a new 3% stamp duty surcharge for buy-to-let properties and second homes, and an extension of the doubling of small business rate relief for a further year. For tailored advice on any of the topics covered within the Autumn Statement, and how they may have an impact on your business or personal finances, please give us a call on 01763 853633. We offer far more than traditional tax and compliance services, and can advise on a range of strategies designed to minimise your tax bill, improve profits and maximise your personal wealth. https://www.liricaccountants.com/wp-content/uploads/2015/11/budget-image.jpg 160 316 Lisa Compton https://www.liricaccountants.com/wp-content/uploads/2014/12/liric-accountants.jpg Lisa Compton2015-11-27 00:03:582015-11-27 00:03:58How will the 2015 Autumn Statement affect you and your business? Pension Automatic Enrolment is with us and the staging dates for smaller companies are on the horizon. Between 2015 and 2017, over 1 million companies will be staging, which is a staggering 51,134 companies per month. Don’t leave this until the last minute, or think “it doesn’t affect me” because any business with a PAYE reference has a duty to comply and there are serious fines for non-compliance. If you have the correct company pension structure in place, that’s great, but if you don’t it is important that you read on. Whether you have an existing pension scheme or not, you absolutely must ensure that you comply with the government’s pension reform regulations. Not just any old pension scheme will do… it has to follow the new rules. Following the rules not only means that your company pension scheme has to be in line with the regulations the government have put in place, but it also means that you have a duty to explain all changes to your staff so that they are aware of the situation! The good thing is that we are here to help with this. I just thought i would let you know of something you can get for FREE…. You can now get free access to 170 million records at Companies House. In line with the government’s commitment to free data, Companies House announced on 22nd June 2015 that all public digital data held on the UK register of companies is now accessible free of charge, on its new public beta search service. This provides access to over 170 million digital records on companies and directors including financial accounts, company filings and details on directors and secretaries throughout the life of the company. As a result, it will be easier for businesses and members of the public to research and scrutinise the activities and ownership of companies and connected individuals. In the Summer Budget Newsletter we outlined the new rules for the taxation of dividends that will apply from 6 April 2016. Further guidance has now been published by HMRC setting out how the new rules will operate and it seems the rules don’t work as many people expected. As previously reported, there will be no 10% credit against the tax on dividends which means there will be a 7½ % increase in the rate of tax on dividends once the £5,000 dividend allowance has been used up. Currently dividends falling into the basic rate band are effectively tax free. 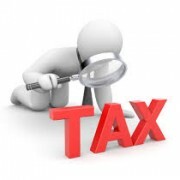 However the £5,000 allowance needs to be taken into consideration in determining the rate of tax on your dividends. For example if you have salary and other non- dividend income of £40,000 next year and £9,000 in dividends, the £4,000 of taxable dividends are taxed at 32.5%, not £3,000 at 7.5% then £1,000 at 32.5%. This is because the £5,000 is added to the £40,000 income pushing the taxable dividends into the higher rate band. If you own your own company it may be beneficial to bring forward dividend payments from next year to save the additional 7½ %. However, it would be important to consider all of the tax implications of such actions so come and talk to us to discuss your options. The Pareto principle (also known as the 80–20 rule, the law of the vital few, and the principle of factor sparsity) states that, for many events, roughly 80% of the effects come from 20% of the causes. Management consultant Joseph M. Juran suggested the principle and named it after Italian economist Vilfredo Pareto who, while at the University of Lausanne in 1896, published his first paper “Cours d’économie politique.” Essentially, Pareto showed that approximately 80% of the land in Italy was owned by 20% of the population; Pareto developed the principle by observing that 20% of the peapods in his garden contained 80% of the peas. 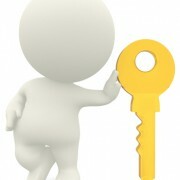 In business, it is usually applied as follows: 80% of your company’s profits will come from 20% of your customers. In essence, 80% of whatever outcome you’re expecting will come from 20% of whatever you put into your project. Using the 80/20 rule allows you to focus your business planning in a way that will allow you to maximise profit, production, or any other aspect of your business, with a minimum of effort. It would make sense to focus on making sure that 20% of your customer base is happy before expending resources on the rest. The same thing can be applied to any situation. While it doesn’t always come out to 80/20, the basic concept still applies: there is no 1 to 1 balance of input to output. This same rule can be applied to marketing, profit predictions, and many other business aspects can also be applied to time management and other things that you use every single day, whether you realise it or not. 80% of your results should come from 20% of your effort. It’s easy to be pulled into projects around your business that aren’t going to be terribly productive in the end. Sure, you may be able to fix the light bulb in the back office, but is it really worth spending that time fixing the light bulb when you could instead do a sales call? If it takes you 2 hours to fix a problem that would have taken a professional maintenance technician 20 minutes, then you’re losing out on that 2 hours. 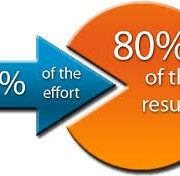 Instead of using 20% of your effort to obtain 80% of your results, you’ve managed to turn the rule on its head, spending 80% of your effort for only about 20% in terms of results. The 80/20 rule is a great rule of thumb but it isn’t set in stone. It’s a very useful guideline, but it should only be used as such. Don’t try to lock everything you do into that 80/20 ratio or you’ll find yourself striving for something that is impossible to achieve. That said, take a look at the various aspects of your business, and see how you could benefit from the application of such a guideline. You’ll be surprised at the amount of extra time and productivity you can obtain with a little change of perspective.